Kidney Stones (also known as lithiasis or nephrolithiasis) is a disease that is characterized by the occurrence of a small, hard mineral deposits (called kidney stone) in the urinary tract. These materials are usually formed inside the kidney. Typically, kidney stones form when the urine is concentrated, thus, allowing the materials to crystallize and stick together. An underlying metabolic condition such as gout, diabetes, distal renal tubular acidosis, Dent’s disease and hypercalciuria (high calcium in the urine). The most important thing about Kidney Stones you should know is that they are preventable and treatable. Calcium oxalate stones: This is the most common type of kidney stones. This stone is usually comprised of calcium and oxalate. About 90% of patients living with the Kidney Stones disease are reported to have the calcium oxalate. One unfortunate thing about the calcium oxalate stones is that they cannot be dissolved. Uric acid stones: Uric acid stones usually form when the urine is too acidic. However, they can be dissolved with proper treatment. Struvite stones: Struvite stones typically occurs when the urinary tract is infected with a special kind of bacteria which produces ammonia that builds up in the urine. This type of stones is usually composed of magnesium, ammonium and phosphate. The most important thing to do is for you to determine if you have Kidney Stones and what kind of Kidney stones you have. Answering both questions will guide your therapy. We encourage you to visit a nephrologist if you have at one time or the other experienced any of the symptoms listed above, or you have a family history of the Kidney Stones disease. 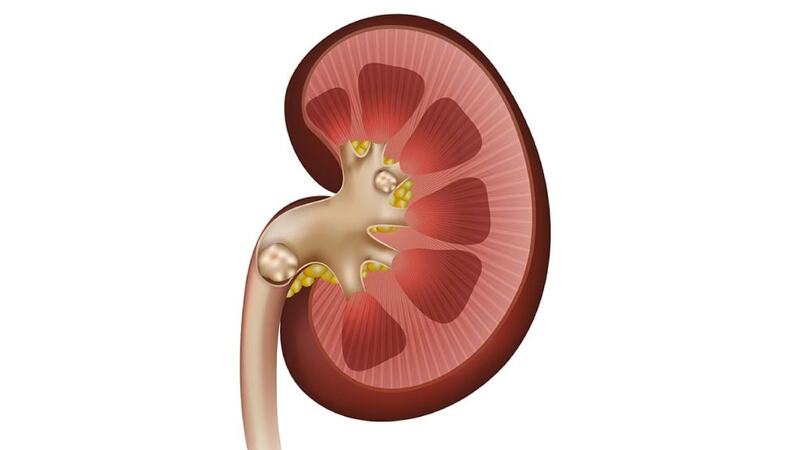 Here in FKP, we treat and attend to those suffering from the Kidney Stones disease. Most importantly, we have the expertise for proper care and to avoid the disease from recurring in the future. Learn more about Kidney Stone Treatment .